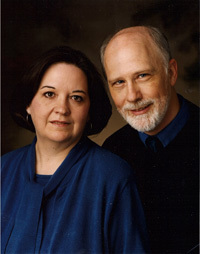 Good Golly Astrology is a website put together by Wendell C. Perry and me, his wife, Linda. Wendell claims to have begun studying astrology when he was 14 years old but since some say his mental age is roughly 16, it’s difficult to estimate how many years that entails! (just joking) In any case, he’s published scores of articles in Mountain Astrologer magazine and Dell Horoscope magazine and he has written two books. The first of these was "The Mars/Venus Affair" which was published by Llewellyn Worldwide in 2000. I was the co-author of that book. His second book was "Saturn Cycles: Mapping Changes in Your Life," which was published by Llewellyn in 2009. It describes how the transists of Saturn impacted the lives of 24 celebrities, some for the better and some for the worse. The information contained here on our website in the section called The Mars and Venus Playbook comes from "The Mars/Venus Affair," though we have revamped the material and expanded the examples. Our website is intended to be a fun and easy way to introduce you to astrology beyond the Sun Signs. We hope you enjoy it! Want to share your thoughts about the Good Golly Astrology website? Send your remarks or questions to Wendell by clicking on the Contact Us menu at the top of this web page. Thanks!